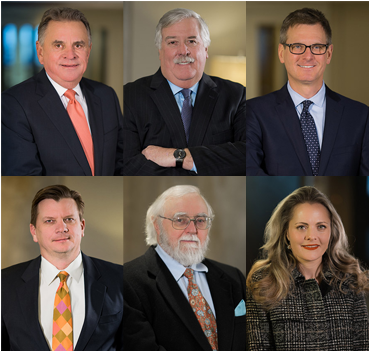 Secrest Hill Butler & Secrest has represented insurers in many of these difficult and complex cases over the years, including trials to verdict and successful appeals. Secrest Hill Butler & Secrest has represented insurance companies in a multitude of coverage disputes, both large and small, and involving virtually all types of coverage. The firm has represented insurers in declaratory judgment and garnishment actions in both and state and federal courts in Oklahoma, and before the Oklahoma Supreme Court and United States Tenth Circuit Court of Appeals. At Secrest Hill Butler & Secrest, our attorneys also represent insurers in non-litigated matters including coverage opinions, duty to defend disputes with policyholders, legal evaluation of claims and examinations under oath. Additionally, our insurance clients frequently turn to us for representation in some of the most complex, difficult and high-stakes matters that they face in Oklahoma, that being "bad faith" and other extra-contractual cases. Our experience includes cases arising from both "third-party" and "first-party" coverage, as well as primary and excess insurance. We have the resources and experience to defend you in these difficult cases. If you have any questions or want to speak with one of our Tulsa insurance dispute attorneys, contact us online or call 918-494-5905. One of our lawyers would be happy to discuss your options with you.